From glitter bombs to glitter ashes, the sparkly stuff goes from craft staple to political statement. More recently, in the days before the 2017 inauguration, activists organized a “queer dance party” in front of the temporary home of Vice President Mike Pence in a residential neighborhood in Washington, D.C. Billed by organizers as “a glitter-filled, rainbow-filled extravaganza,” the protest included glitter in all forms – sparkling body paint, bedazzled signs, sequinned costumes, and biodegradable confetti. Other glitter-laden dance parties took place outside an inauguration entrance and in front of Trump properties in cities across the U.S.
Secondly, the celebratory nature of glitter makes it a particularly poignant counterpoint to the difficult political and social issues of anti-LGBTQ violence and discrimination. Whether used in glitter bombs against political leaders, showered over dancing protesters, or used in Ash Wednesday events, glitter is fun, fabulous, and playful, as long as it is used in a nonviolent way. A marriage equality rally in front of the U.S. Supreme Court in 2015. The use of upbeat imagery and performance to express political dissent adopts an approach that social movement scholars call “tactical frivolity.” This strategy attracts public attention in a way that confrontation may not. It can help mobilize people who might not participate in more contentious forms of protest. 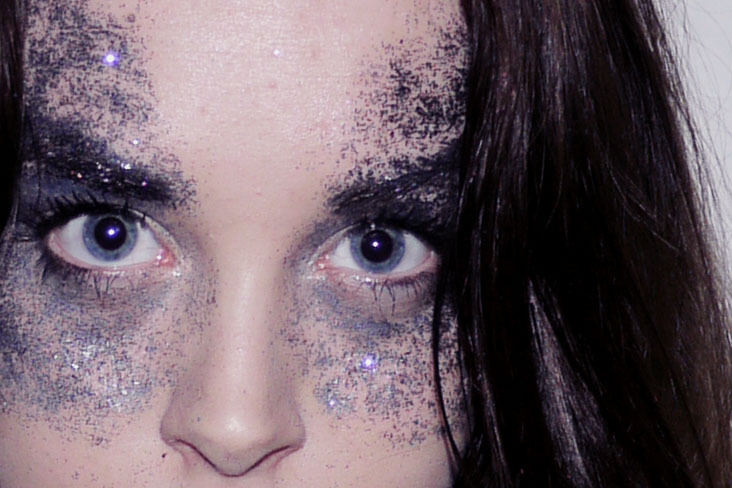 Glitter is serious business for queer people. Glitter is how we have long made ourselves visible, even though becoming visible puts us at risk. Glitterash events were a quieter use of sparkle. Purple glitter transformed a solemn act symbolizing faith, repentance, and the inward reflection that takes place during Lent into a “fabulously conspicuous” expression of love. Anya M. Galli Robertson, Doctoral Candidate in Sociology, University of Maryland.